Oh Baby, Baby… February 8, 2019 is the first ever statewide celebration of the first three years, a day acknowledging and celebrating this incredible period of growth in infants and toddlers. My husband and I (Papaw and Memaw) are blessed with six grandkids that have different strengths and are absolutely brilliant. As a grandparent, I get to see my grown children and their children through a bit of a different lens. There is an art to being supportive without smothering or overstepping roles. Do ask parents how you can be most helpful. It may not be cuddling and reading to the baby that we prefer. More practical help may be needed like doing the dishes, laundry, or feeding the animals. If you live close by, picking up the older children from child care or school is abundantly helpful. Don’t just assume you know what to do since you have “been-there-done-that”. It is wise to offer advice when asked. I take a step back, observe, then maybe ask “have you tried…” or “what would it be like if…” leaving the door wide open for the parents to show off their new-found expertise, consider other possibilities, or tell me “I got it, thanks”. Note: asking “WHY are you doing THAT?” is rarely well received. Do honor the parent-child relationship. Babies do a pretty good job of figuring out who is reliable and who is in the “clan”. Remember though, parents are the typically the primary attachment figure to meet baby’s needs. Grandparents should multiply the love not create division in the family. Parents, let the grandparents bend the rules a bit. Getting to bed a little late or an extra scoop of ice cream before bed creates special memories in children. Grandparents, don’t go overboard and completely throw the rules out the window! Don’t There will be a time to let the family figure stuff out on their own. Raising children is a process of trial and error. Acting like the magical “rescuer” only sets up feelings of resentment and incompetence with parents. This includes blurred financial and emotional boundaries. Do practice self-compassion. Raising young children is hard work. I didn’t always get it right. I remember putting socks on my daughter that were too tight and left a mark around her leg for days. I learned. I lost my temper during an incredibly long day of child tantrums and tears and shrieked, “I’ve had it up to here!” while putting my hand over my head. My girls still remind me periodically of this adult tantrum but I have not heard these words repeated to their children. I learned and they learned what NOT to do. Don’t spend time comparing yourself to others. Believe me, no one is the “perfect” anything no matter what you see on social media. Families you meet at the park or in line at the grocery store may look like they have it all figured out but there are still struggles at times. The Good Enough Parent is the Best Parent shares that the goal of parents is not to strive to be the perfect parent and not expect perfection from the children. This Memaw appreciates the wonder of childhood and helping my grandkids celebrate who they are right now. Too much time is spent pushing children toward the future and not enough time focusing on the here and now that will ultimately create that future. I hope my grandmotherly thoughts help you celebrate Baby Day all year long. Building families during the first three years and beyond is a marathon, not a sprint. Along the way there will be hills and valleys - but with a support team cheering you along, you will run a good race. 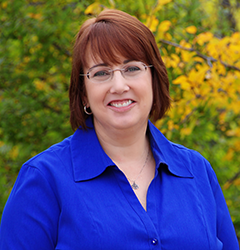 Pam Rinn is a Program Director in Professional Growth at Camp Fire First Texas. She has been at Camp Fire since 2001. She was a Camp Fire Girl in Dallas from Bluebird through Horizon level. Pam facilitates many early childhood professional development sessions throughout Texas, holds a Doctorate in Family Therapy with a Masters in Human Development and is an Infant Mental Health Mentor endorsed by First3Years. Pam’s private family therapy practice in Corinth, TX.